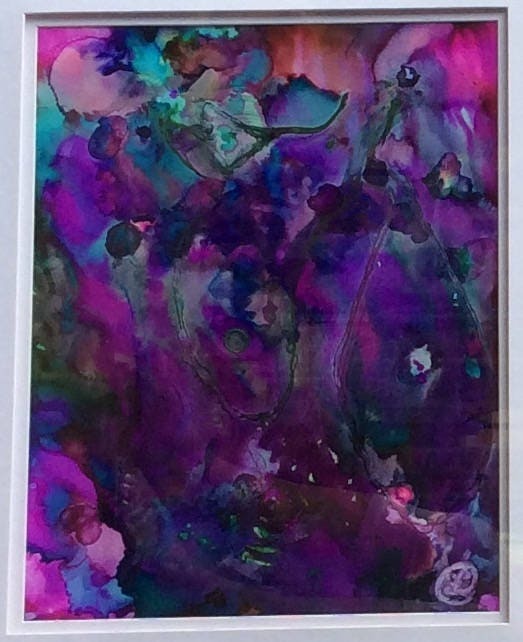 Purple Passion 11" x 14"
This is an original 11 x 14 Alcohol Ink Painting done on Yupo Paper. This is an authentic one of a kind, unique painting which is not available currently as a print and can not be reproduced. 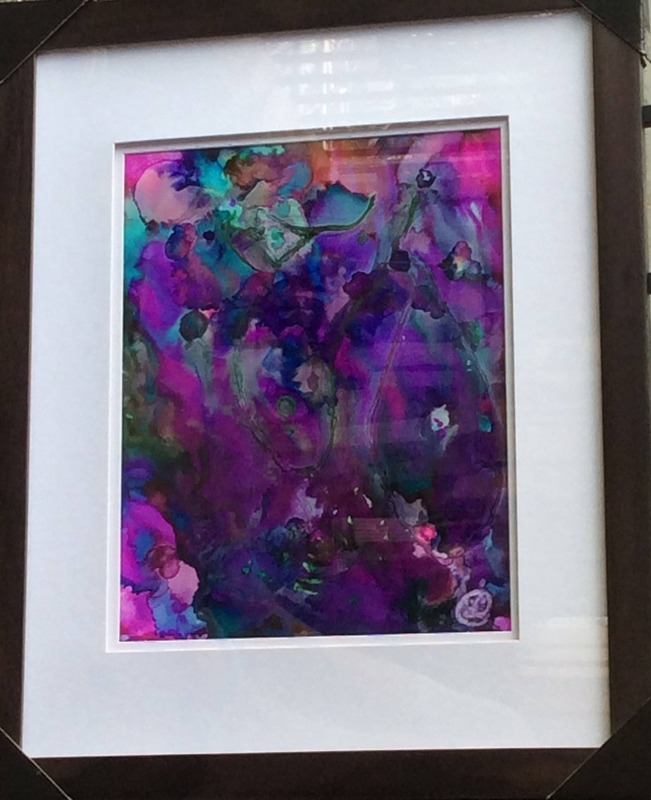 Vibrant colors of purple, pink and blue and add dimension and contrast to this abstract painting. This piece can be sold as shown in the frame (Total Cost: $325) or offered alone for custom framing and matting.